And on the 8th day, came Stormey Jo! 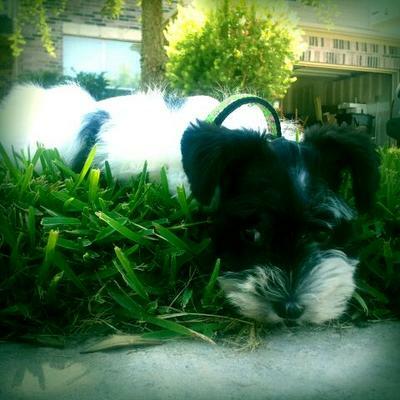 Being a Miniature Schnauzer owner and lover for 22 years, I guess I never really thought what life would be with out one in it. In 2008, my beloved Shelby passed away at the age of 17 years. In 2011, my Gabby left me at the age of 13 and in 2012 I lost my boy Bailey at the age of 12. For months, my house was so quiet. There was no pitter patter of Schnauzer feet roaming across my floors. Needless to say, the silence only lasted 2 months when Stormey Jo was discovered. The last of her litter, you would think she was waiting there just for me. And come to think of it, she was. I was so worried how heart broken she would be to leave her 4-legged mommy but the minute she got in the car, I swear she said "Step on it human mommy, our life has just begun". 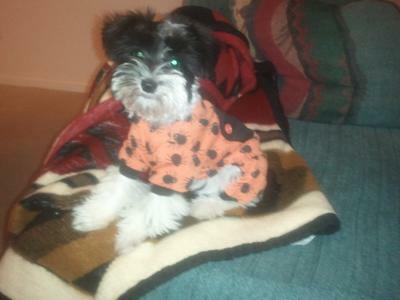 Stormey Jo is a 7 month old Miniature Parti Schnauzer, weighing in at 6 pounds. But you would swear you were living with a 100 pound Dobie. Her personality weighs more than her entire little body every will. Her favorite chew toy is her Westie sister Emmy Lou and her pet-peeve is not being able to have her eyes on me at all times. She will stomp her 4 little paws and the neighbors can hear her roar. 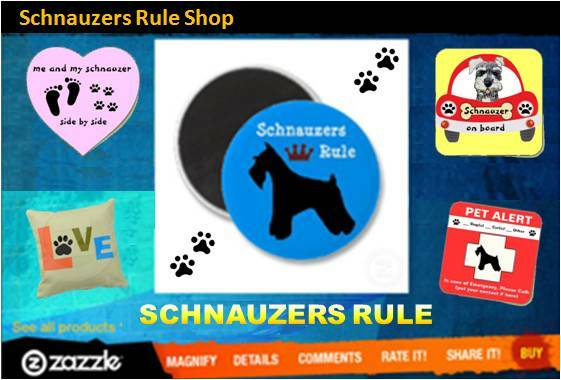 My life is once again fulfilled with the love of a Schnauzer! 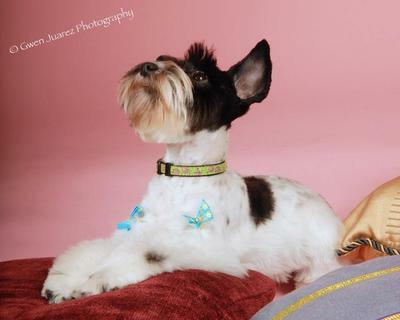 That was a touching story I have a white male miniature and a multicolor miniature schnauzer which just had her 2nd liter I spoil them both I can't imagine being without them I don't have kids so they are like my kids. 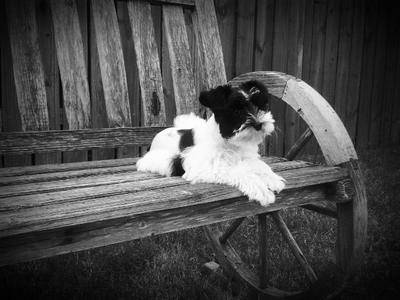 Congrats on your new furbaby,i know how much joy Schnauzers are,we are on our 3rd and 1st male.We lost Muffin after 15 years and Great after 8.Scooter is all white and the life of the house.Stormey you are just to cute. She is the cutest little thing! Best of luck with that little love!